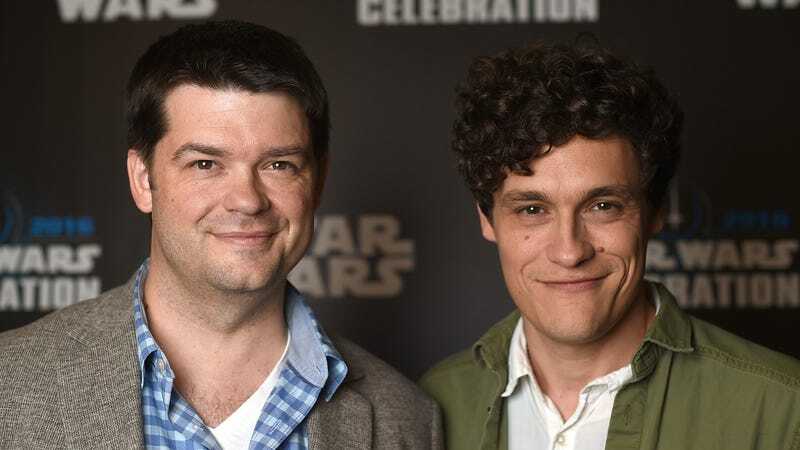 Earlier this year, directors Phil Lord and Chris Miller were fired from the Han Solo movie—now formally dubbed Solo: A Star Wars Story—after reportedly playing too loosely with the production and wasting a lot of time on things don’t make a billion dollars like “fun” and “improv.” They bounced back quickly, though, jumping on to an ABC pilot project, resuming work on the Lego Movie sequel and the animated Spider-Man movie about Miles Morales, and possibly resurrecting the troubled Flash spin-off movie (after having already written a draft of the script). Now, Lord and Miller have directly addressed their departure from Solo, and they seem intent on proving that they’re totally, definitely okay with everything that happened. Speaking on a panel for the MTV animated series Clone High at the Vulture Festival in Los Angeles over the weekend, Lord and Miller basically said that things are going great. Lord in particular said that the experience shooting their version of the movie “was wonderful” and that everybody on the cast and crew was “incredible,” but their vision for how to make the movie was simply too different from “theirs”—referring, presumably, to Kathleen Kennedy and Lucasfilm. Miller added that the two of them are “super well-adjusted” and are “doing great,” though they are “super drunk right now.” Bill Lawrence, who also worked on Clone High, chimed in with an outsider’s perspective, joking that he hopes Solo “shits the bed” because Lord and Miller are so “generous and nice.” Lord, meanwhile, noted that he and Miller “wish everybody the best,” so the two of them are being very diplomatic about this at least.